Since 2G, RF has evolved at a rapid pace. 5G will drive the need for higher integration and smaller solution sizes to combat increasing complexity. Beyond high speed, low latency will be key to enabling new 5G powered applications. Global 5G handsets in 2019? Qorvo explains 5G handset rollouts. 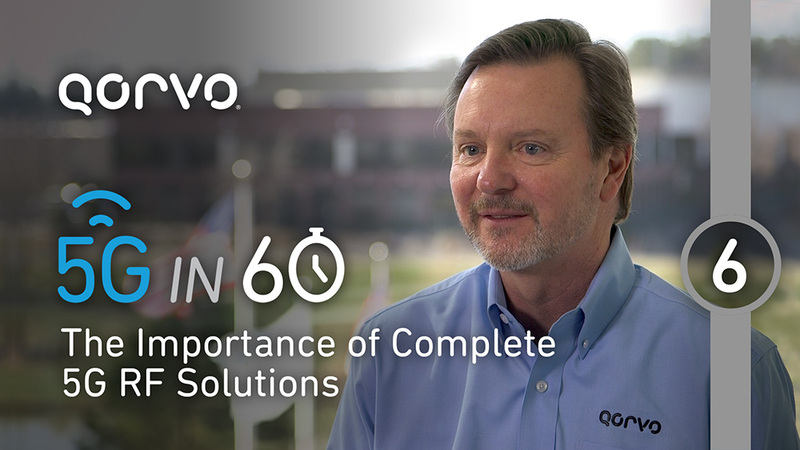 Qorvo is playing a key role in new 5G base station technologies. 5G isn't just plug and play. The complexity has just begun. Higher frequency ranges bring tough RF challenges for 5G infrastructure. Beyond the handset, the future is bright with 5G.